Flash flooding in Port Jefferson last Tuesday night left the local theatre, Theatre Three, with extensive damage. According to an article by Newsday, executive director Jeffrey Sanzel estimates about $50,000 worth of damage; most of which will not be covered by insurance. As water started rushing through the lobby and main floor, Theatre Three was hosting the children’s’ auditions for “A Christmas Carol” on the upper level. They were able to successfully finish the auditions and keep everyone safe before authorities came to help evacuate the children and their families. Mrs. Bing continued to explain how in just one day, “two 20-yard dumpsters [were filled] with ruined costumes, fabric, accessories, broken props, ruined building supplies, furniture, electronic equipment, all the snacks from the refreshment stand” and more. In addition to this, Mr. Sanzel’s office located on the lower level of the theatre was completely devastated—with the water damage causing the loss of cabinets full of scripts, past show information, and memorabilia. The community was quick to help clean up, with dozens of volunteers gathering at Theatre Three as early as 6AM last Wednesday to carry out damaged equipment, costumes, and more; and continuing to help for the next two days, cleaning the leftover mud and debris out of the theatre. Businesses in the area generously chipped in to help the theatre. Local restaurants donated food for volunteers while Home Depot and Lowes donated cleaning supplies, dehumidifiers, and fans. 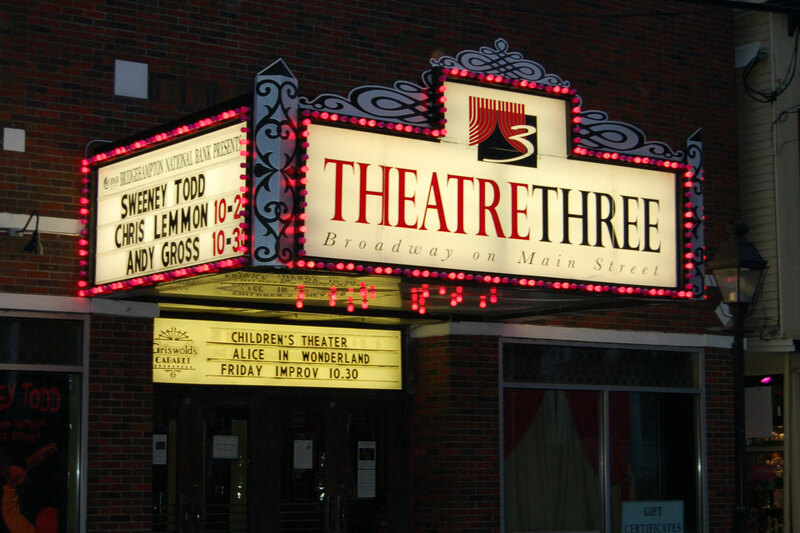 Going into 49 years of being a non-profit professional theatre, Theatre Three holds the saying “The show must go on,” as the main stage production of “The Addams Family” continues to run as planned.